Thanks to the support of B.C. Schizophrenia Society Foundation, the UBC Faculty of Medicine’s Department of Psychiatry has successfully completed the purchase and implementation of a 256-channel electroencephalogram (EEG) system to advance the Department’s schizophrenia research program. This state-of-the-art equipment will enable UBC schizophrenia researchers and their colleagues in mind and brain health research to develop more nuanced models of the relationship between symptoms and brain function, increasing the speed with which new therapies can be developed and tested for the benefit of patients with schizophrenia and other brain disorders in British Columbia. 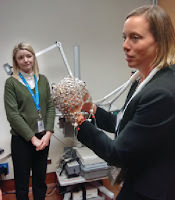 Data collection for research using this system started in September 2015 for four schizophrenia-related studies, all being conducted by Dr. Todd Woodward, Associate Professor of Psychiatry and Director of the Cognitive Neuroscience of Schizophrenia Laboratory. Functional brain networks underlying non-pharmaceutical interventions for psychosis A study aimed to contribute to the body of evidence supporting methods for bringing strength and organization back to the brain networks affected in psychosis through the use of group-based education and training sessions. Schizophrenia patients with delusions have difficulty integrating new evidence that contradicts current beliefs, and this may contribute to the maintenance of delusions. This study investigates whether these brain networks are impaired in schizophrenia patients with delusions, compared to patients without delusions and healthy controls. Decision-making and schizophrenia and the salience networkThis study investigates whether salience networks used in decision-making are impaired in schizophrenia, compared to healthy controls. Neurological networks underlying working memory in psychosisThe purpose of this study is to develop a better understanding of the brain networks underlying persistent cognitive impairments (present throughout the course of schizophrenia) in working memory. On National Schizophrenia Day, Tuesday, May 24, Health Minister Terry Lake announced that the B.C. Ministry of Health will be providing B.C. Schizophrenia Society (BCSS) a total of $3 million funding over the next five years. 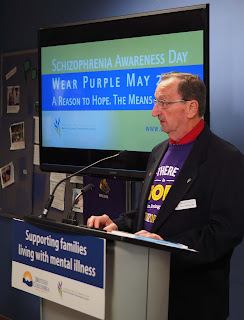 This generous funding will help BCSS meet our mandate of providing support and education to families and their ill relatives suffering from schizophrenia and other serious mental illnesses; increase public awareness and understanding of mental illness; advocate on behalf of families and people with serious mental illness for improved services; and promote research into the causes, treatment, and ultimate cure of schizophrenia. 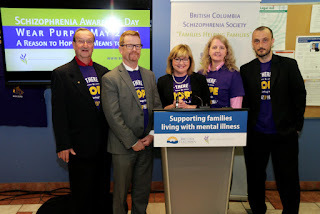 “This funding will literally save lives, in addition to reducing hospitalizations and homelessness across the province,” said Deborah Conner, executive director of B.C. Schizophrenia Society. “We have families and friends who are seeking access to support for their loved one reaching out to BCSS. Today, the B.C. government has answered their call. On behalf of families across B.C., we are grateful." 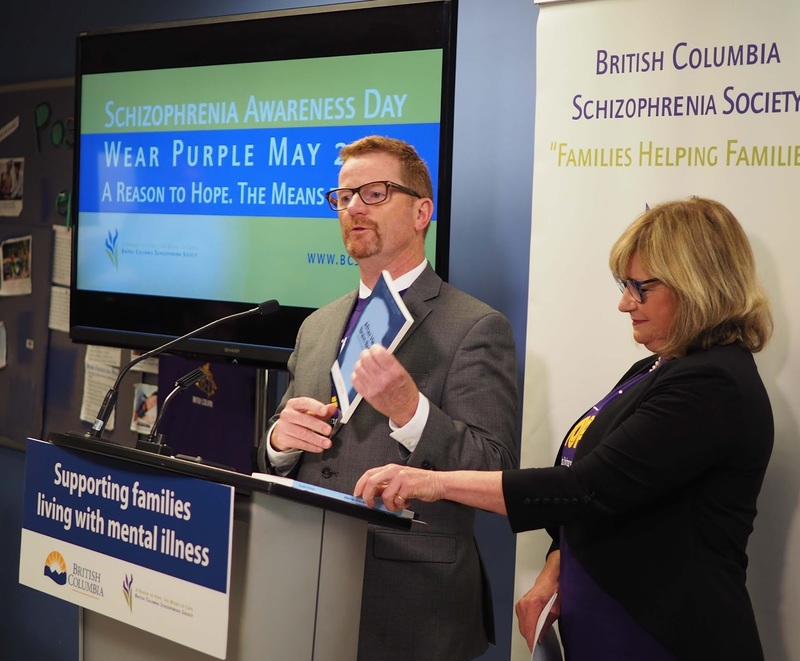 Health Minister Terry Lake announces that the B.C. 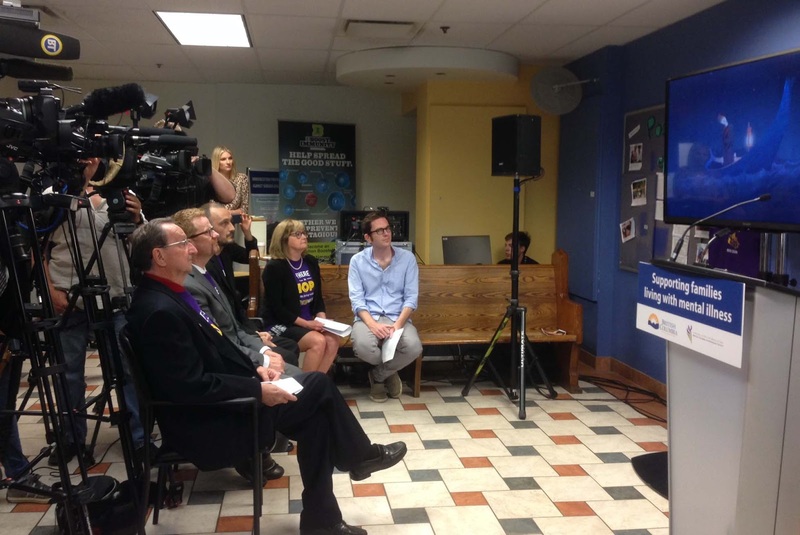 Ministry of Health is providing $3 million funding for BCSS programs and services for the next five years. Currently, there is a need for more equitable access to services in B.C. for the mentally ill and their caregivers. Through this funding, new outreach educator positions are being created to help provide direct services and emergency support for families and their ill relatives in variety of underserved communities across B.C., including parts of the Fraser Valley, Okanagan, Northern B.C. and Vancouver Island. We’ll also be reinstating services in key areas across Vancouver, Richmond and Sunshine Coast where services had been previously reduced due to funding cuts. Through BCSS outreach educators, who work closely with local health authorities, BCSS is able to provide important frontline and emergency support, which includes listening to family concerns, referring to other services, assisting with access to community supports, troubleshooting and helping families navigate the mental health system. All eyes are on a video for BCSS' Strengthening Families Together - First Nations Edition. This funding also allows BCSS to offer programs like Strengthening Families Together, Strengthening Families Together (First Nations Edition), and family support groups family peer support in more communities across B.C. Additionally, BCSS educators can deliver education and support through school programming, and a Partnership Education program, which is geared toward professionals such as policing agencies, human resource departments, hospital staff and universities. BCSS educators also provide information to the public at community events, raising awareness of mental illness and directing people to resources in their local communities. This network of educators, facilitators and family support workers will help advance B.C.’s mental health strategies. BCSS is excited about this partnership with the B.C. Ministry of Health in moving these initiatives ahead to support all B.C. families and friends living with the impacts of schizophrenia and other serious mental illnesses. All these programs provide critical education and resources for families and communities in need. We at BCSS would like to extend a huge thank you to Health Minister Lake and the B.C. Ministry of Health for their help in providing a reason to hope and a means to cope. President of the BCSS Board, David Halkowski, thanks Minister Lake and the Ministry of Health for their support. 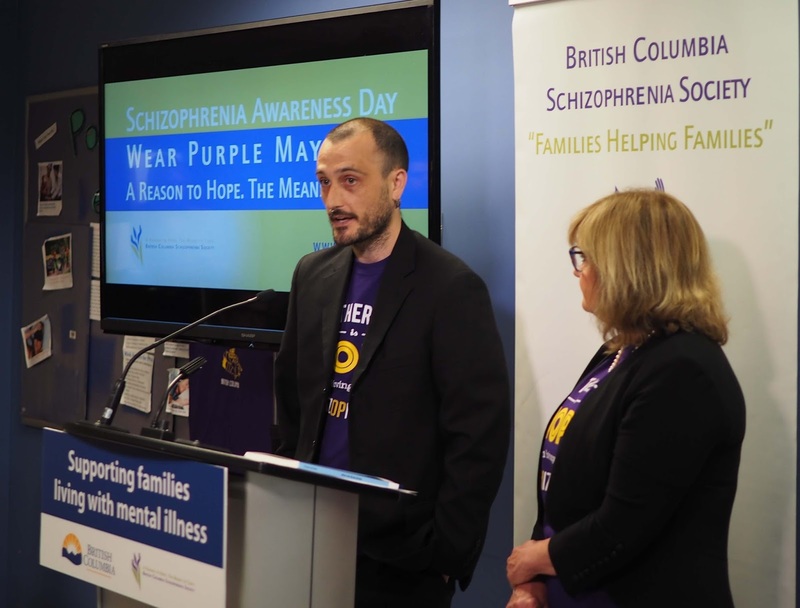 Bryn Ditmars, diagnosed with schizophrenia at 23, now speaks on behalf of BCSS to help people better understand what is schizophrenia. His family also benefited greatly and found hope from BCSS programs and educators.